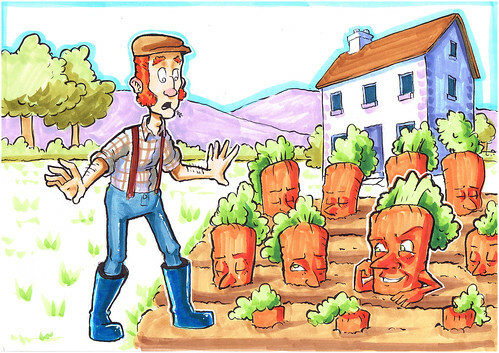 The next sunny day, Jimmy checked on his carrot seeds and was amazed to see they had grown! “Now we’re sucking diesel!” Jimmy roared. 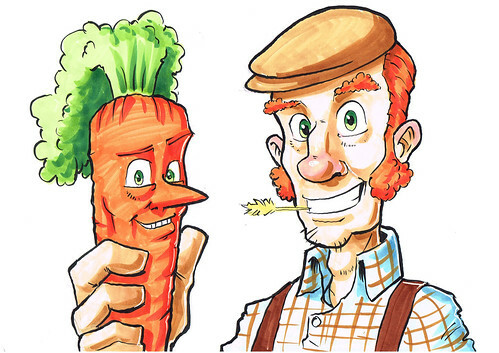 “Aren’t we just,” replied one of the carrots.